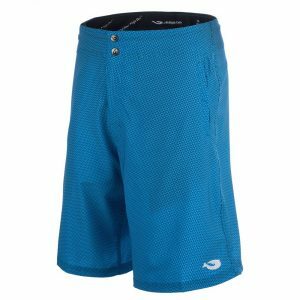 Our performance short, perfect for activities on and off the water. 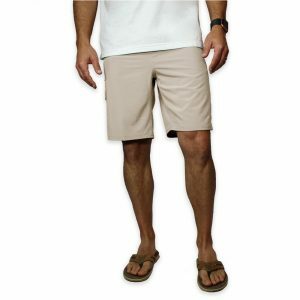 Our Stretch Fit short utilizes the latest in 4- Way Stretch Technology. 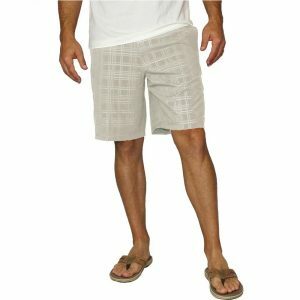 These shorts move with you, while offering the ultimate in style and function. We’ll be there with you wherever life takes you. So fish hard, stay dry and Get YOUR Mojo On! 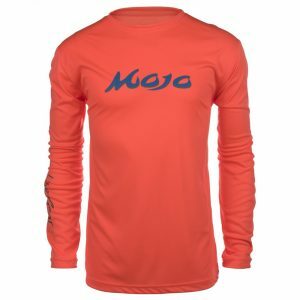 Designed and named for the wireman, the team member tasked with grabbing a fistful of leader attached to a rampaging offshore gamefish, this high performance shirt is proven a winner. 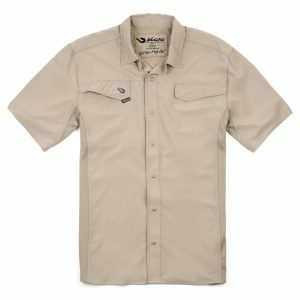 Our Wireman line of technical fishing shirts uses ComfortWeave™, which is a tightly woven poly fabric that also offers a sun protection factor of UPF 50, blocking 98% of the sun’s harmful rays. It’s because of this tight weave that the UV rays cannot penetrate, which means that the UPF rating will never wash out of the shirt. 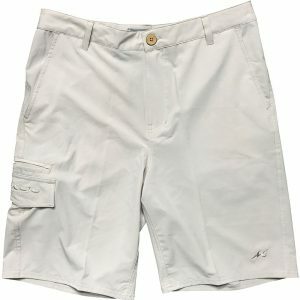 (read more about UPF ratings and Mojo’s commitment to sun protection here). ComfortWeave™ also resists stains, odors and snags and although it’s softer than cotton, it wears like iron. 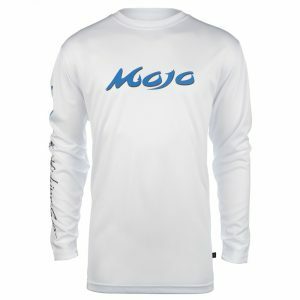 So fish hard, stay dry and Get YOUR Mojo On! 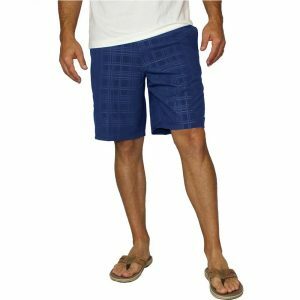 With our new series of Plaid Technical Fishing shorts, we introduce innovative styling from the surf market that has been improved for the fishing side of things. We included 4-Way Stretch fabric with dual snap front closures that are corrosion free. 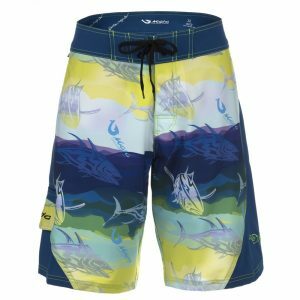 Our Tec-Flex waistband yields a superior fit, moving with you, making it seem like you’re fishing naked… So fish hard, stay dry, and Get Your MOJO On! 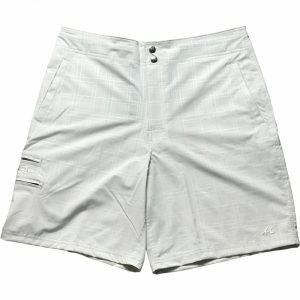 fishing board shorts available today. 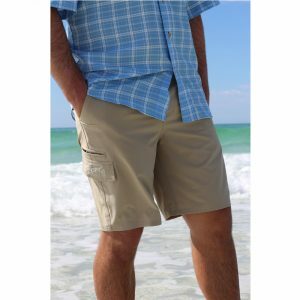 Features include deep front and back pockets as well as a side cargo pocket to hold all the fishing essentials, plus a Denier-lined tool pocket for pliers of a release tool. 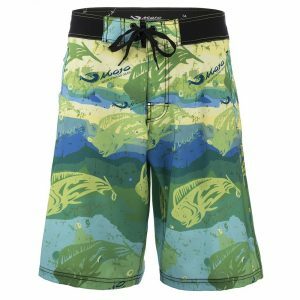 with the features of high-performance angling shorts and style thats unmistakably Mojo. 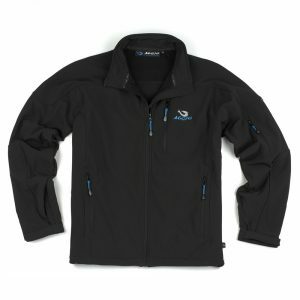 Mojo Soft Shell Weather Buster Jacket. 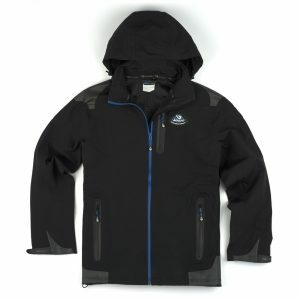 Mojo Hydro Block Jacket, is a foul weather gear jacket to worn over clothing in bad weather. The thing that most fishing shirts are missing is the ability to find functionality in more than one way. This shirt has the functionality that you need to enjoy a day out on the water, while also being able to enjoy this shirt while out on the town. Fish hard, stay cool and get YOUR Mojo On!